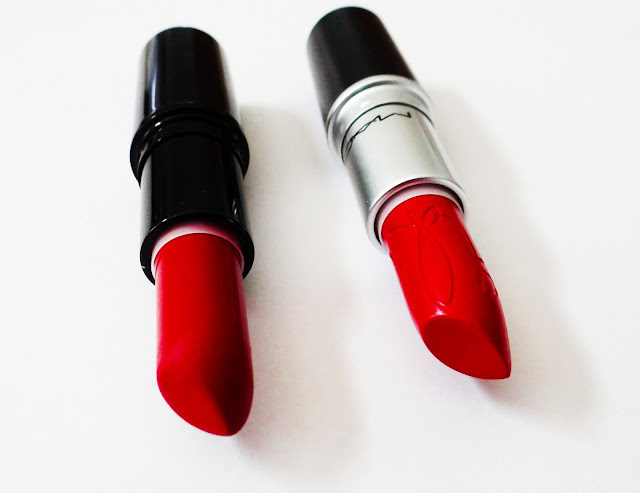 I love MAC & I love Rihanna. The two combined, I couldn't resist! As soon as I found out that Rihanna was collaborating with MAC for collections I just had to have it. There are 31 different products. 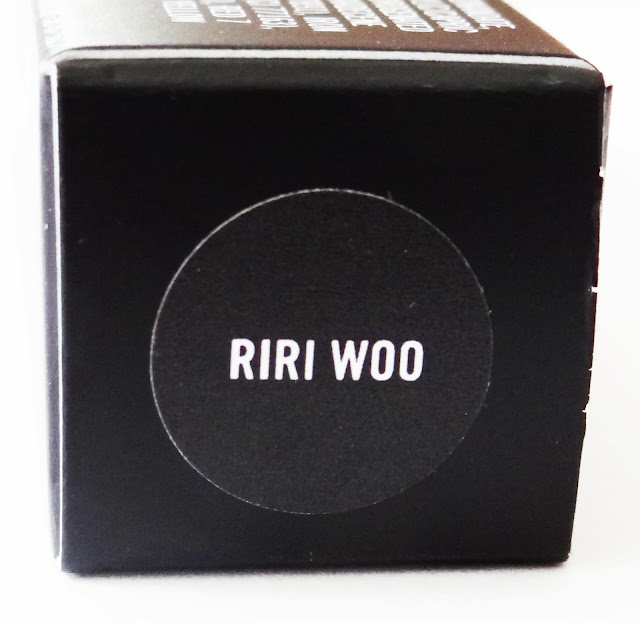 This first product was this Riri Woo Lipstick that was an online only exclusive release last week. I got the text from MAC the day of and I thought I would have already missed it. There was a long wait. I wasn't sure if my laptop was frozen on the website. I waited for about an hour and I have the website loaded on my iPhone as well. I finally checked before I was about to give up and it finally was at the checkout page. I decided to purchase it and try it out. This was sold out within three hours!! I've never bought anything from an anticipated launch but I'm glad I got this. It finally arrived today. This lipstick was $18 CDN, I had a coupon code for free shipping so I used that and didn't have to pay the $8. I don't have many red lipsticks and this has been said to be the same as MAC Ruby Woo but I don't own it. I did get Charmed I'm Sure from the Marilyn Monroe collection so I compared it to that. 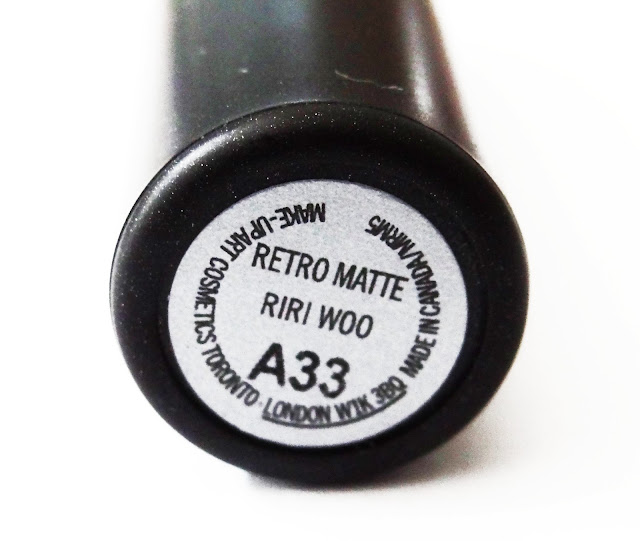 The MAC RiRi Woo is a retro matte finish and is a cool toned red. The retro matte finish is drying and is more stiff. I've never tried this finish. 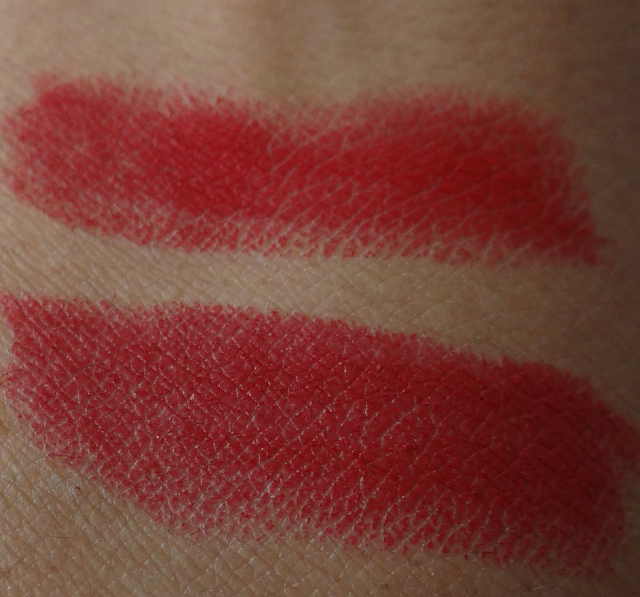 The MAC Charmed I'm Sure is more pink than the MAC RiRi Woo and a true red color. 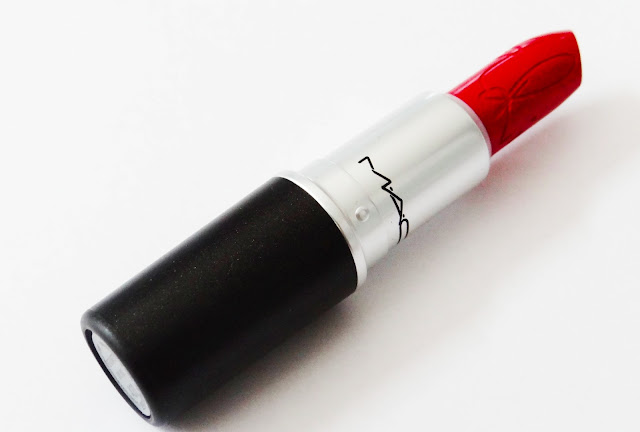 The MAC RiRi Woo is lighter. I like the color of RiRi Woo. I don't wear red that much since my husband doesn't like it very much and I never thought that it looked good on me but I like how this looks. The finish is drying but I put on lip balm prior to putting this on. I can't wait to see the other products that Rihanna will be releasing. If you missed out on grabbing this online it'll be back in June. I think it'll have special packaging as well. You definitely should. It's a beautiful color!